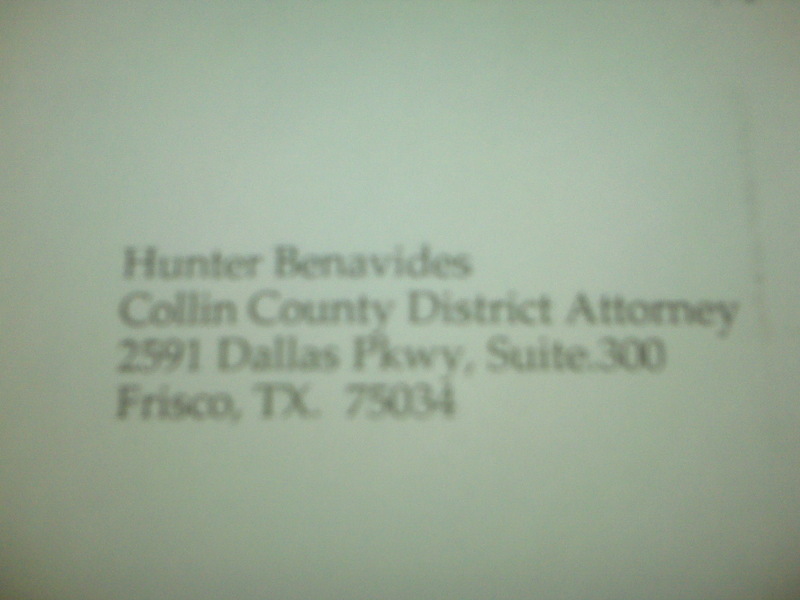 Yes, please address it to "Hunter Benavides" at the Collin County District Attorney’s office, but use my private practice address. Perfect! Make sure to put in a form letter with it as well.